The quarterfinals of the African Champions League commenced Friday with two first leg fixtures on the cards. In Conakry, Guinea hosts Horoya AC were held to a barren draw by Al Ahly of Egypt at 28 September Stadium. Record 8-time champs Ahly approached the game with supreme caution, defending in numbers while attacking on the break. Surprise package Horoya, playing at this level for the first time, went on an all-out attack from onset but lacked the cutting edge in attack against the Cairo giants. Burkinabe danger-man Ocansey Mandela with four goals to his credit so far was well contained by Ahly’s backline marshaled by Malian Salif Coulibally. Walid Azaro was equally ineffective for the visitors who relied on the prolific striker as a lone striker, nonetheless, he missed a few clear cut chances that could have decided the match. Horoya travel to Cairo next week for the reverse tie at Al Salam Stadium Saturday. Any win for either teams will be enough to book a semis slot. Setif, Tunisia played host to a North African derby pitting ES Setif against defending champs Wydad Casablanca of Morocco in the other quarters tie. 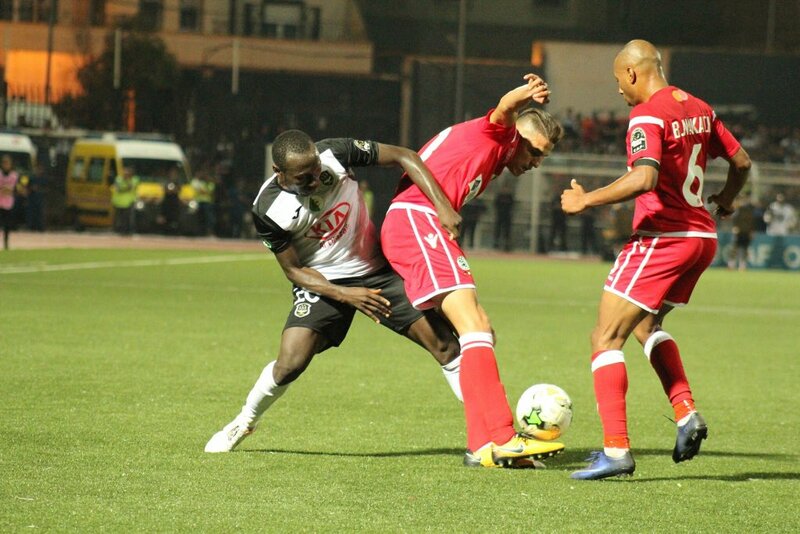 16th minute goal from Senegalese Isla Daoudi Diamande handed Setif a slim 1-0 victory. The win was a shocker as Setif had the least impressive record among the eight quarterfinalists. The Entente lost three matches heading into the round of eight whereas Wydad were among six clubs beaten only once, and another challenger lost twice. Both Setif and Wydad are two-time African champions and are gunning for a third honor. Wydad, who are the defending champions are hoping to emulate Enyimba, Al Ahly and TP Mazembe by defending their crown. The return leg will be played Friday next week at Mohammed V Complex, Casablanca, Morocco with the aggregate winner making the semis.